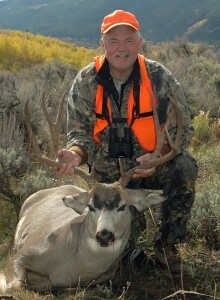 Rick is one of the country’s top outdoorsmen who has traveled the country in search of hunting and fishing adventure! He writes both monthly and weekly articles for major outdoor publications and is the host and producer of an exciting video series “Rick Forge’s Self-Guided Adventures” which chronicles affordable hunting and fishing trips across both the United States and Canada. In addition Rick is a highly sought after speaker and presenter at outdoor shows and banquets. He has competed in the ESPN Great Outdoor Games Fly Fishing Competition- Eastern Finals in 2003 and Western Finals in 2004 where he finished 3rd in the casting and advanced to the finals in the fishing. 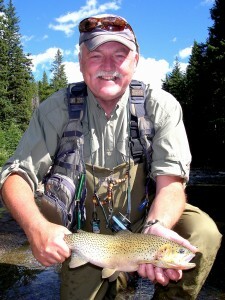 He was also a regular competitor in the Outdoor Life Network Fly Fishing Masters Competition. Rick is also on the pro staff of many major fly fishing and hunting equipment companies and can be found at major outdoor store events in the Northeast. Rick is also a successful New Hampshire Guide, holding Guide License #1. A retired school teacher and coach Rick has received a wide array of coaching honors including National Coach of the Year Recognitions and was inducted into the Plymouth State College Athletic Hall of Fame. He resides in Moultonborough, New Hampshire with his “very understanding wife” Joan!